This paper serves as a complement to the joint paper on TRUSS progress in bridge engineering already reported in SHMII-8. Here TRUSS ESRs and supervisors deal with TRUSS progress on infrastructure research other than bridges (i.e., braided FRP, concrete, nuclear racks, wind turbine towers, ships and ship unloaders and pavements). 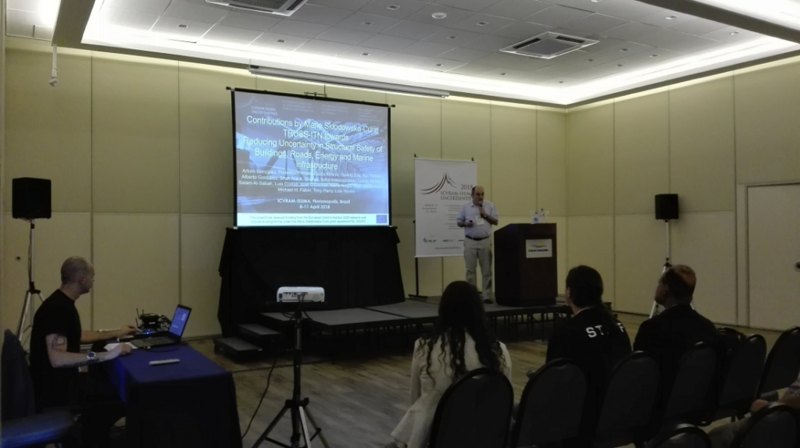 The title is ‘Contributions by Marie Skłodowska-Curie TRUSS-ITN towards Reducing Uncertainty in Structural Safety of Buildings, Roads, Energy and Marine Infrastructure‘ by A. González, F. Perrotta (ESR13), G. Milana (ESR6), G. Zou (ESR5), R. Teixeira (ESR4), A. González Merino (ESR3), S.-N. A. Sourav (ESR2), S. Antonopoulou (ESR1), C. McNally, S. Al-Sabah, L. Costas, A. O’Connor, M. Nogal, K. Banisoleiman, M. H. Faber, T. Parry, L. Neves. 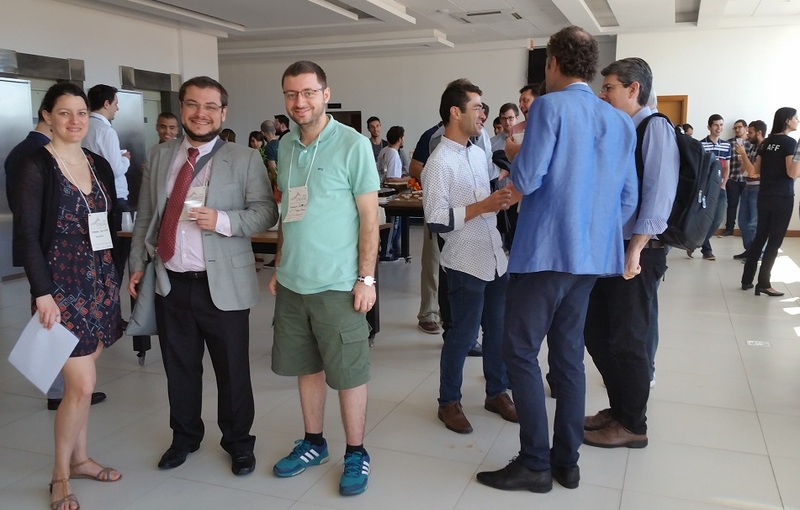 It has been published and presented in 3rd International Conference on Vulnerability and Risk Analysis and Management, 7th International Symposium on Uncertainty Modelling and Analysis and 4th International Symposium on Uncertainty Quantification and Stochastic Modelling (ICVRAMISUMA2018), jointly held in Florianópolis, Brazil, from 8th to 11th April 2018. 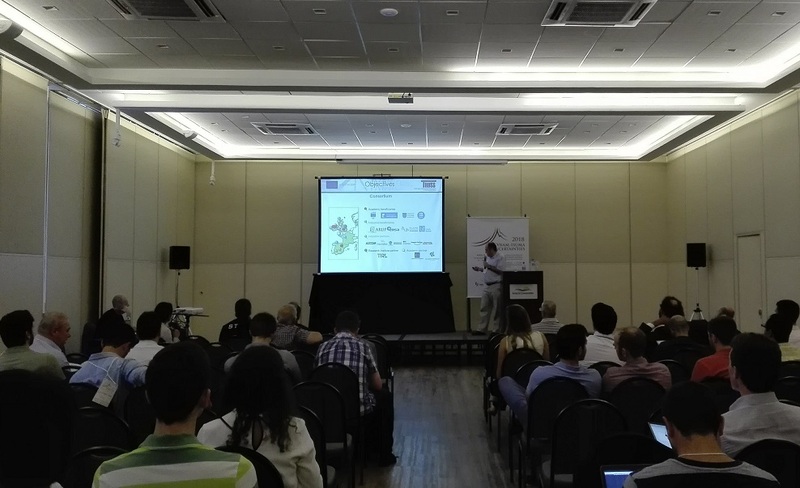 The TRUSS talk by the Project Coordinator took place on Monday 9th April from 15:00 to 15:20 in room A as part of the session A03 on Uncertainty Quantification. 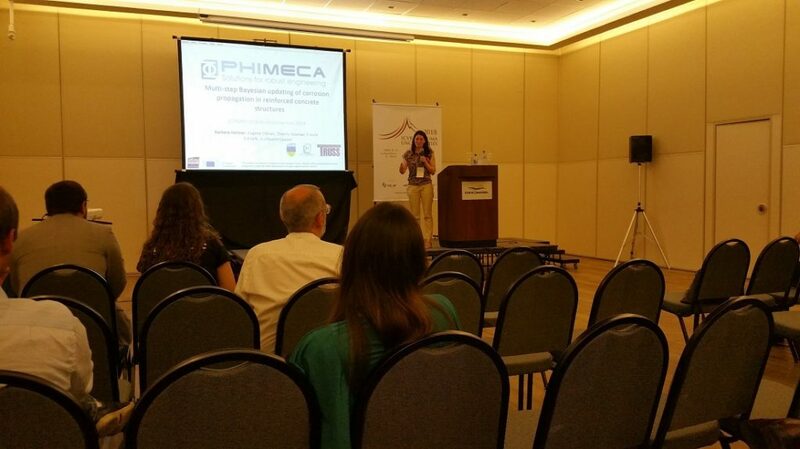 In the same room, Barbara Heitner (ESR8) presented her paper titled ‘Multi-step bayesian updating of corrosion propagation in reinforced concrete structures‘ from 17:30 to 17:50 as part of the session A04 on Bayesian Methods chaired by Americo Cunha from University of Rio de Janeiro. 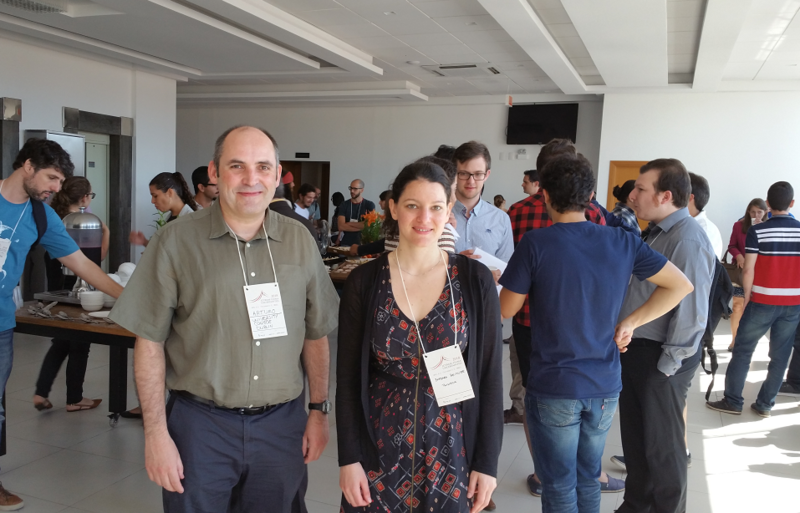 There were questions on how TRUSS operated individual projects and companies of different backgrounds, and Barbara was asked about the ideality of the distributions chosen for Bayesian updating, their validation and sampling. Abstract. There is multitude of models available to assess structural safety based on a set of input parameters. As the degree of complexity of the models increases, the uncertainty of their output tends to decrease. However, more complex models typically require more input parameters, which may contain a higher degree of uncertainty. 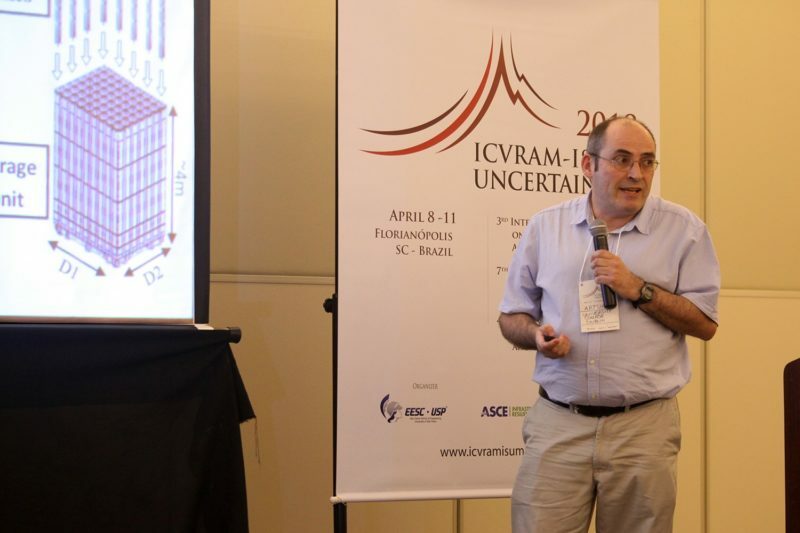 Therefore, it becomes necessary to find the balance that, for a particular scenario, will reduce the overall uncertainty (model + parameters) in structural safety. The latter is the objective of the Marie Skłodowska-Curie Innovative Training Network titled TRUSS (Training in Reducing Uncertainty in Structural Safety) funded by the EU Horizon 2020 research and innovation programme (http://trussitn.eu). This paper describes how TRUSS addresses uncertainty in: (a) structural reliability of materials such as basalt fiber reinforced polymer, (b) testing techniques in the assessment of concrete strength in buildings, (c) numerical methods in computing the non-linear response of submerged nuclear components subjected to an earthquake, (d) estimation of life of wind turbines, (e) the optimal inspection times and management strategies for ships, (f) characterization of the dynamic response of ship unloaders and (g) the relationship between vehicles fuel consumption and pavement condition.